If you’ve been to a branding you’ve probably seen it. If you’ve been to the rodeo, and you’ve watched team roping, then you’ve definitely seen it. The dally rope is the most effective way to rope a calf and get him to stay put. 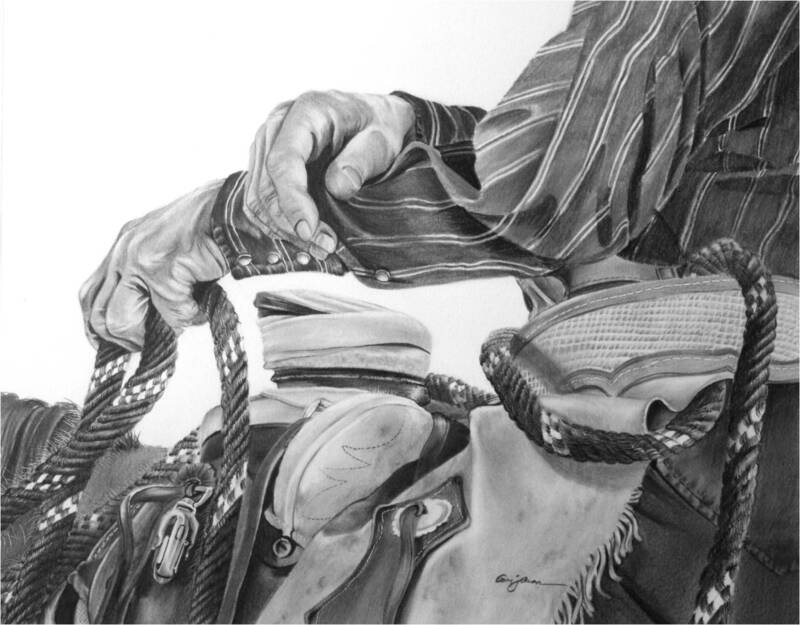 Tying your rope to your saddle after roping a calf is called “dallying.” Dallying involves looping your rope around the saddle horn to secure the just-roped calf to your saddle. The dally acts as an anchor to the saddle and forces the calf to pull against the combined weight of the horse and rider rather than against the rider’s grip on the rope. The dally is one of the most important skills to learn when roping a calf. A correct dally can mean the difference between successfully securing a calf and losing the catch. What I like most about this drawing is the implied action. So much is going on with the ropes, but you can see the tension in the line going down to the calf. 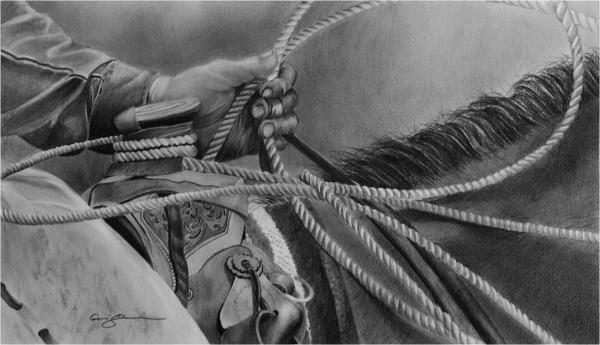 There were a lot of dark shadows in this drawing, along with tons of detail in the saddle. I really like how this turned out… let me know what you think!